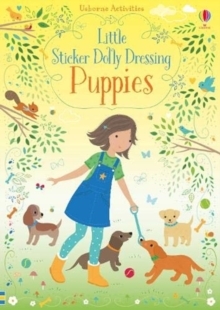 Dog lovers will adore this gorgeous sticker book, with dolls to dress, puppies to play with and pages to decorate. Scenes include getting a new puppy, playing in the park, a winter walk, grooming salon and puppy school. With over 300 reusable stickers of puppies, outfits and accessories, plus a fold-out back cover to store stickers when not in use.